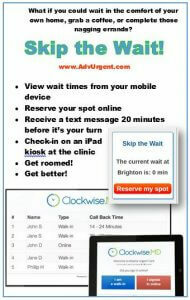 We are offering the convenience of signing up for appointments right from your smartphone or laptop. Choose an appointment from any web-enabled device, self check-in and keep track of current wait times and order in line. You can also run your errands and receive automatic communications via text message when your doctor is ready to see you. The Clockwise.MD system is designed to improve overall patient experience. 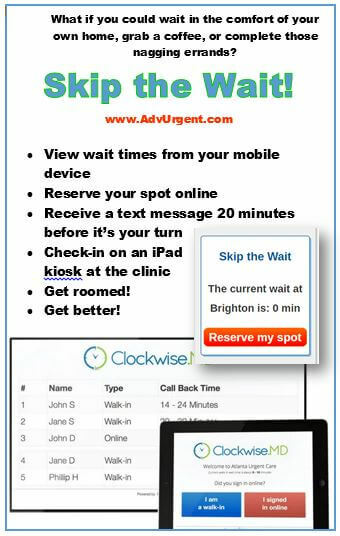 Skip the wait, and take control over your waiting room experience.